Councils will be able to pass some of their statutory duties for children’s services to private firms, under changes that have been described as a “first step” towards the forced outsourcing of the role. Education secretary Michael Gove is set to bring in legislation that allows councils pass some of their legal responsibilities, including for the care of looked-after children and for some parts of their child protection role, to external providers. However, councils will keep their role as a “corporate parent” and their legal duty to safeguard children. Mr Gove is to make the change by activating regulations from the 2008 Children and Young People’s Act, which are subject to a “sunset clause” that would make them void if they were not brought in by 13 November 2013. One senior figure in child protection told LGC the rules could be a tool for the government to compel struggling councils to outsource some of their work. “At the moment, if the secretary of state thinks a council is failing and he wants to compel it to outsource its work, the council could respond by saying they weren’t legally allowed to do this,” the source said. “But once this sunset clause is activated that will no longer be the case. 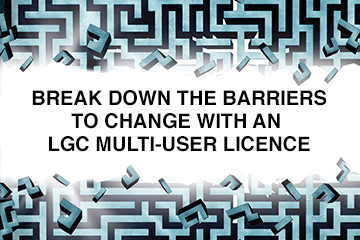 LGC understands that once the changes take effect, councils will be able to agree contracts with private firms or charities, which would put them independently in charge of delivering to a certain specification. If there were problems, the council’s only recourse would be to cancel the contract. The providers would have to register with the watchdog Ofsted. Meanwhile, it has emerged that Birmingham City Council could face a month-long assessment by Ofsted, starting in November. Chief inspector Sir Michael Wilshaw last week said the city was a “national disgrace” because of poor outcomes for young people, and suggested it should be broken up into smaller authorities because it was “too big to fail”. Inspectors will carry out a “review” of the council’s children’s services, rather than a formal inspection, meaning they will have more freedom about how to assess the council’s services. It follows a decision by the Department for Education this summer to give the council a few months to show concrete signs of improvement, following the sudden and unexpected departure of its children’s services director Peter Duxbury in July. He said if Ofsted were to do a conventional inspection report on the council’s services as they stand, they would find it “inadequate” at child protection. However, he said, he believed Ofsted’s involvement would be more helpful than this, particularly if it led to a fuller view of “where our strengths and weaknesses are and whether there are signs of improvement”. LGC understands DfE officials have considered a range of options for the future of Birmingham’s children’s services, including putting an independent trust in charge, bringing in a private sector improvement partner and appointing new children’s services managers. A source close to Birmingham told LGC: “Whatever happens as a result of this Ofsted review, we will be in new territory”. A provision in the Labour government’s 2008 Children and Young People’s Act said councils could “enter into arrangements with a body corporate for the discharge by that body of some or all of the relevant care functions of that authority”. These functions included services for looked-after children and other child protection functions, such as assessing the needs of some vulnerable children. However, only five councils, chosen as pilots in 2009, were allowed to use the new provision – and a “sunset clause” in the act said that the outsourcing rule would become void if it was not activated by 13 November 2013. By activating the clause, education secretary Michael Gove has prompted questions about whether it could be extended to cover a broader range of children’s social care services.